We’re retiring a bunch of prints from the store to make space for some upcoming secret and exciting changes. All of the prints featured in the image above and more will be gone Midnight Monday 1/29. So check out this special section of the shop to see which ones are on their way out. This entry was posted in Uncategorized on January 27, 2018 by AC. 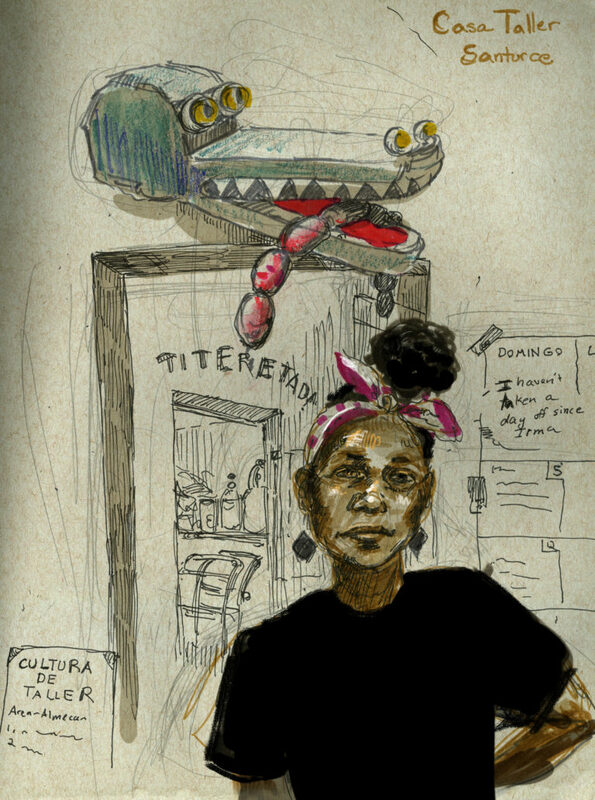 This Friday January 26th, Art in Ad Places will be celebrating the launch of their book compilation of last year’s campaign. Please join us at the LUCAS LUCAS Gallery in Brooklyn starting at 7pm. More info at the facebook event page here. 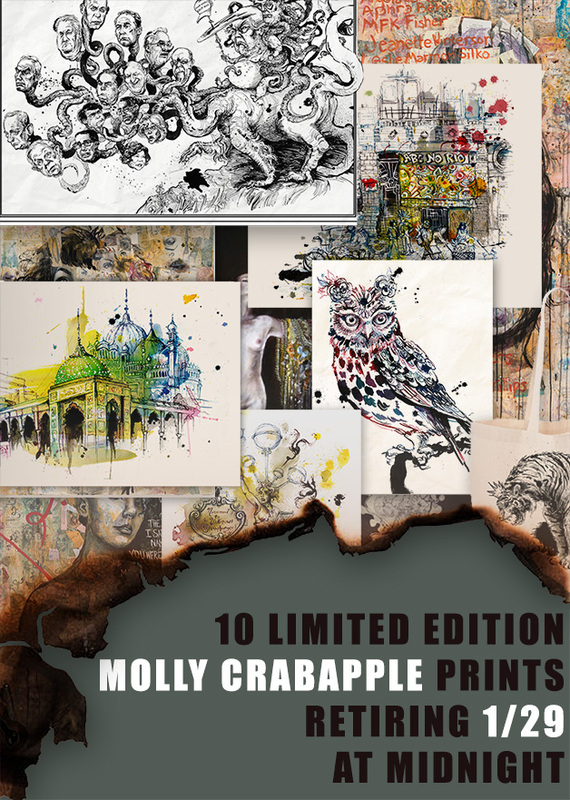 Molly’s work will be featured in the book and copies will be available for purchase right in the gallery space. This entry was posted in Uncategorized on January 24, 2018 by AC. and make it her friend. This entry was posted in Uncategorized on January 18, 2018 by AC. 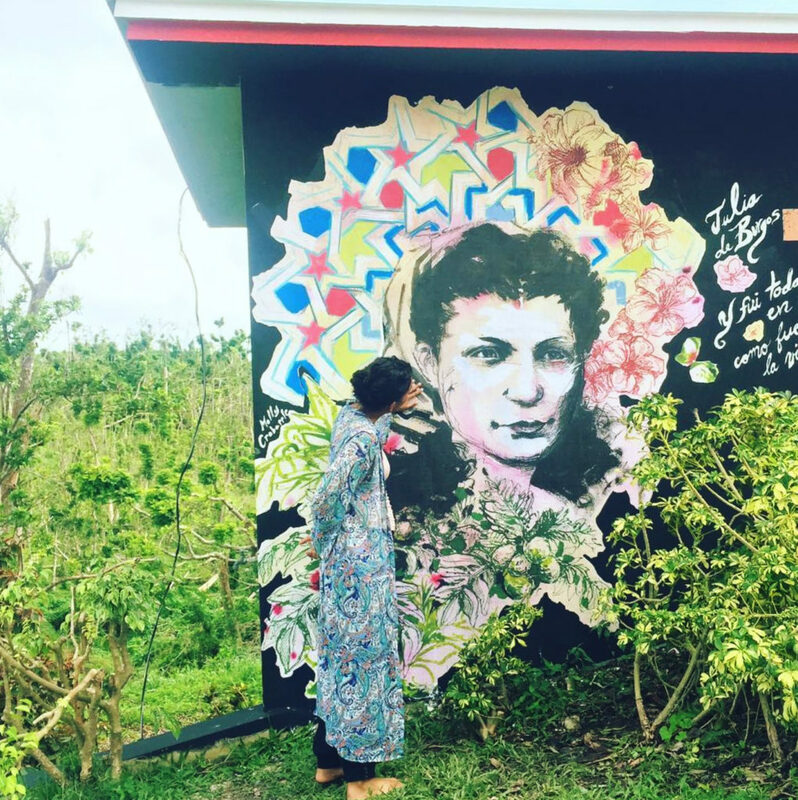 During Molly’s most recent trip to Puerto Rico’s Mariana neighborhood to document the ongoing recovery process from Hurricane Maria, she installed three new wheatpaste murals. 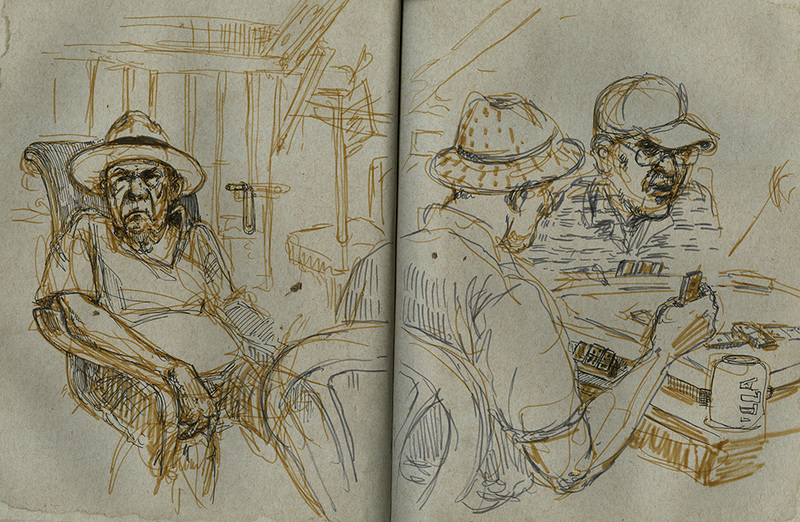 Three men from the neighborhood playing dominos. 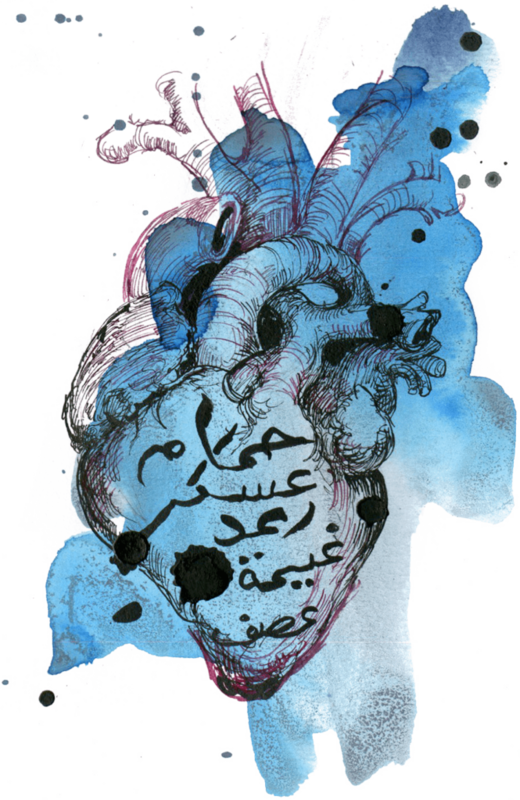 This entry was posted in Uncategorized on January 15, 2018 by AC. This entry was posted in Uncategorized on January 7, 2018 by AC. 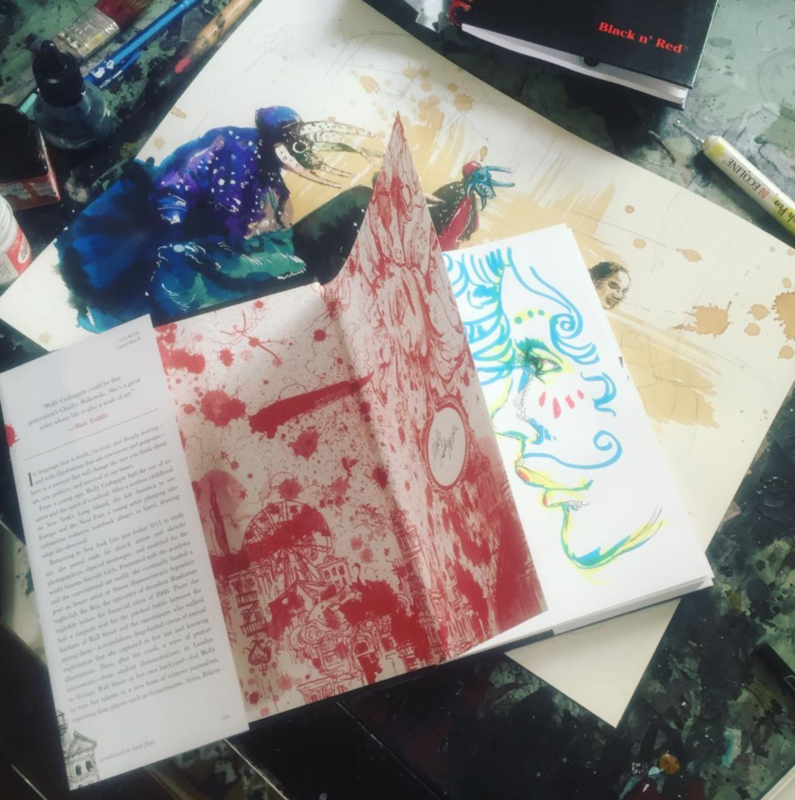 Following the success of a special promotion this past September, Molly is offering, for a limited time, to provide copies of Drawing Blood with unique hand-drawn illustrations on the title pages. Below are some examples of past ones we sent out. Order copies here while they last! This entry was posted in Uncategorized on January 4, 2018 by AC. 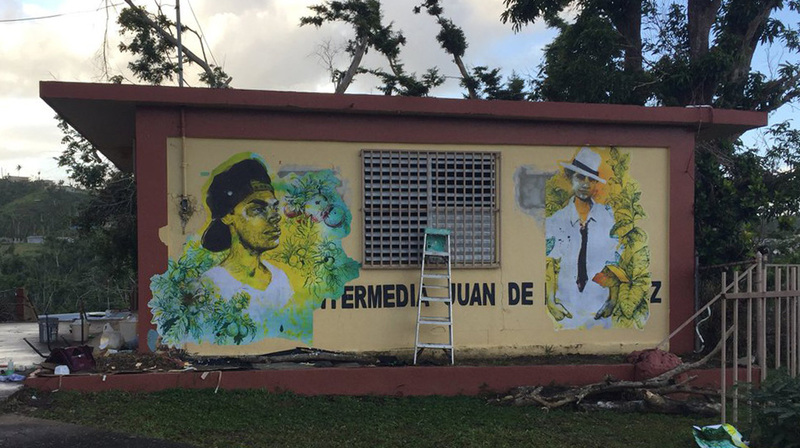 In many cases, after Maria, it was the Puerto Rican elders who saved their neighbors and rebuilt their barrios. 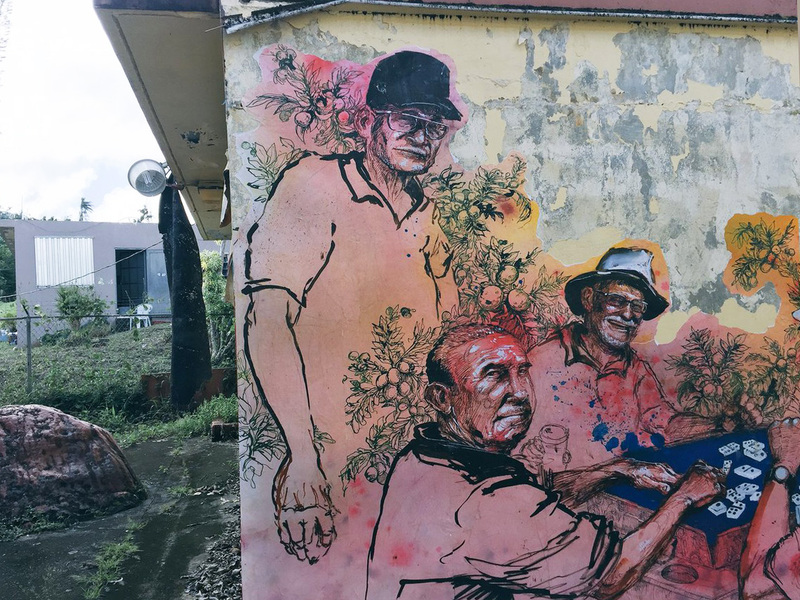 When the bridge collapsed at Utuado, it was men in their sixties who waded through the waters and strung a wire across the river. For over two months, a shopping cart slid back and forth along that wire to deliver food to the people still in the barrio. This entry was posted in Uncategorized on January 3, 2018 by AC.